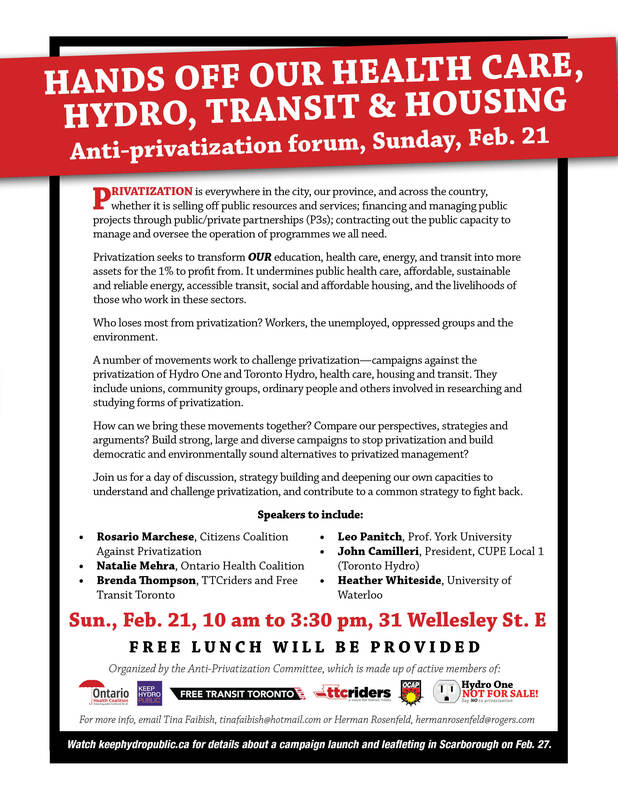 We are organizing a forum ahead of the upcoming municipal elections in Toronto. 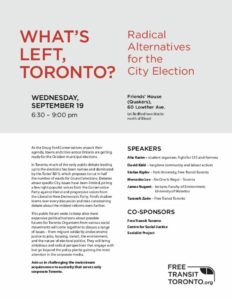 The event will be held at Friends’ House (60 Lowther Ave., Toronto) on Wednesday, September 19th, 2018, at 6:30 p.m. Please see the poster below for details. We hope to see you there! Free Transit Toronto members will be joining our TTCRiders allies on Wednesday, September 28th, 2016 at 12 p.m. in front of City Hall to rally against the proposed TTC budget cuts. 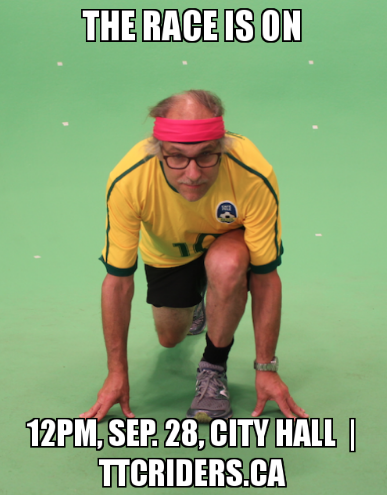 Join the mock “Race to the Bottom” as we demand an end to the TTC’s budget crisis. For more information, visit TTCRiders.ca.